Benjamin Henry Latrobe, “Benjamin Henry Latrobe,” Histories of the National Mall, accessed April 23, 2019, http://mallhistory.org/items/show/80. Benjamin H. Latrobe was an architect hired by President Thomas Jefferson to serve as the Surveyor of Public Buildings in 1803. He spent nearly 14 years in Washington supervising the construction and design of public buildings. His largest project was constructing the Capitol's south wing. After the War of 1812, Latrobe oversaw the rebuilding and redesign of the Capitol, which the British army destroyed in 1814. Hence, Latrobe is known as the second Architect of the Capitol. White House Art Collection. View original image. Born in England, Latrobe studied in Germany and returned to England to apprentice as a civil engineer. He immigrated to the United States in November 1795 and found work as an architect and engineer in Virginia and Pennsylvania. Latrobe befriended Thomas Jefferson, who appointed him Surveyor of Public Buildings in 1803. He oversaw a number of public works projects, including the Washington canal and structures at the Washington Navy Yard. During this period he also oversaw the implementation of William Thorton's original plans for the US Capitol. His main achievement was designing the south wing of the US Capitol. During James Madison's administration (1809-1817), Latrobe worked extensively with Mrs. Madison on the interior design of the White House. 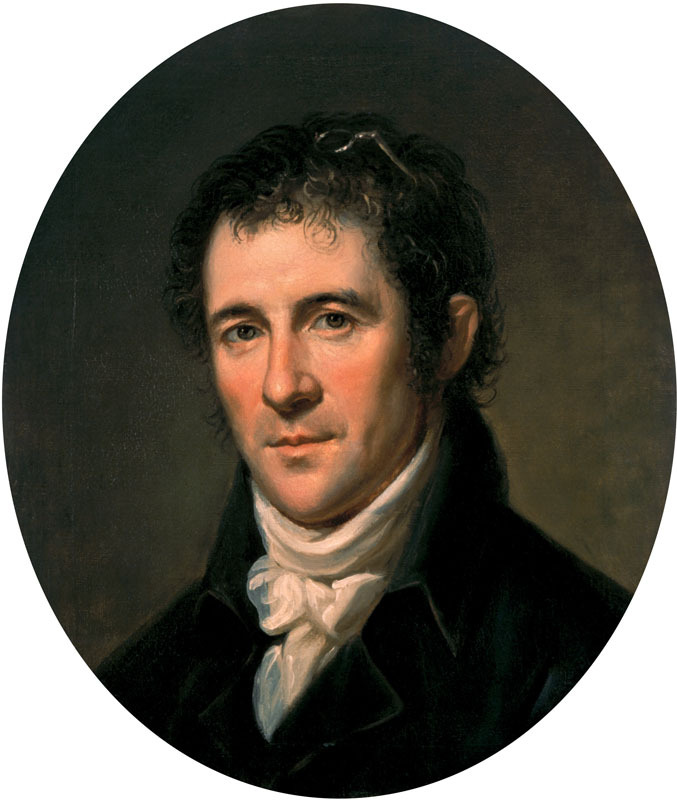 After the burning of the US Capitol in 1814, he named Architect of the Capitol and was charged with supervising its rebuilding. In 1817, he resigned that post and moved to Baltimore. Latrobe died from yellow fever in 1820 while working in New Orleans on a major waterworks project.